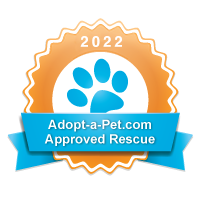 Ruff Life Animal Rescue is a 501(c)3 non-profit, no-kill rescue organization out of the Fort Mill, SC and Charlotte, NC areas. Click here to support Maxon's stocking stuffer drive! Our mission is to rescue lost, homeless and abandoned dogs from our community and the surrounding areas. We care for, protect and provide the animals with medical care until adoption into a loving, forever home.